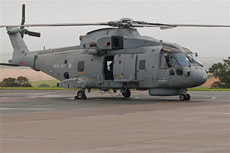 My final base visit during my very successful UK trip was at RNAS Culdrose in the most southwestern tip of the United Kingdom. 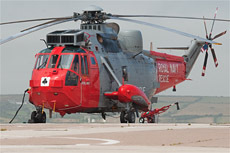 Culdrose is the home base of the complete Merlin and Sea King fleet of the Royal Navy. 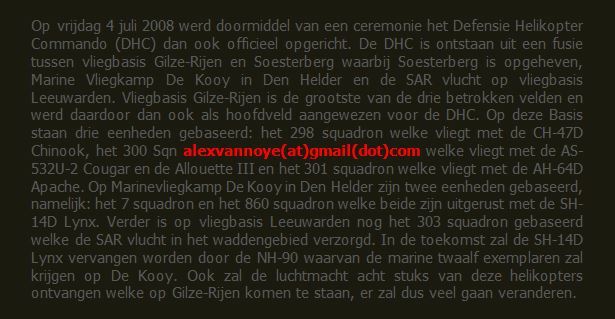 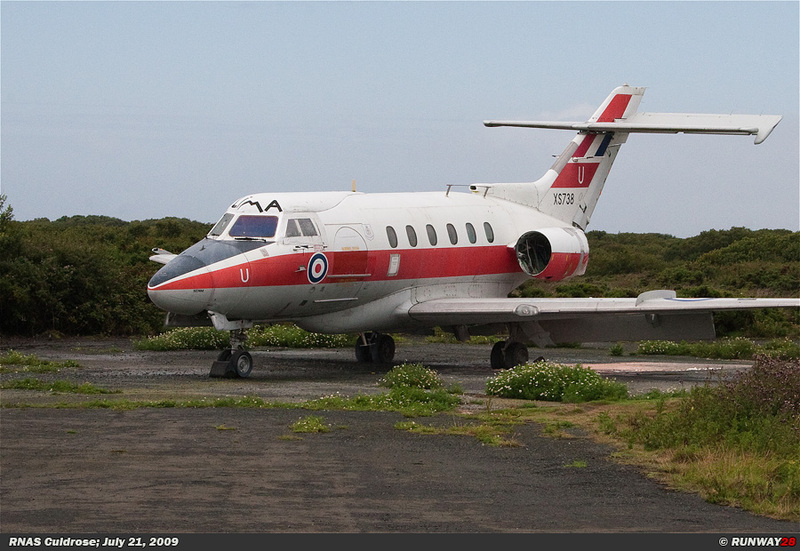 Also the Hawks of the FRADU and the Jetstreams can be found at this base. 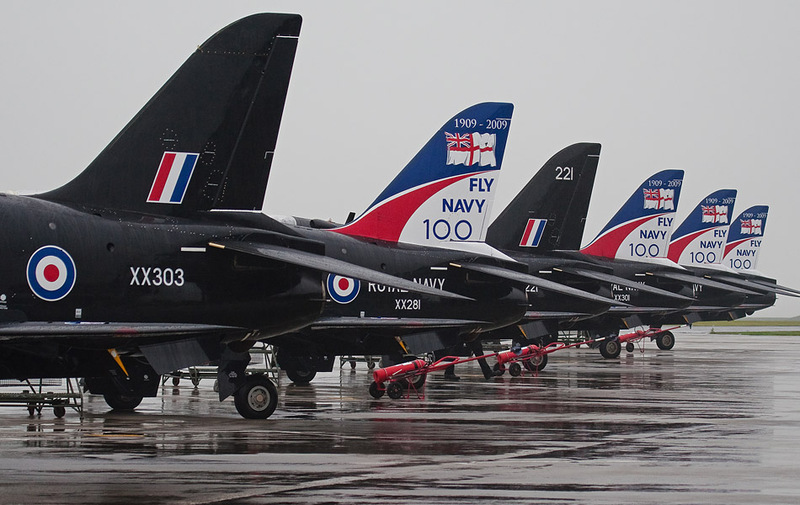 We started our visit to RNAS Culdrose in the morning at nine am and we had to report us at the main gate of the base. 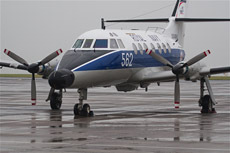 We were picked up by our guide who was an old retired navy man. 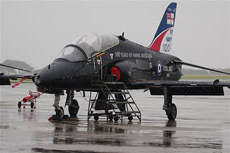 After a brief introduction we could start the visit and we took place in a bus which transported us over the base. 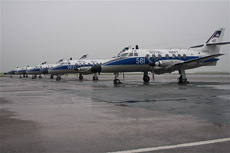 Today's weather wasn't really good; it was very foggy and from time to time we had some rain. 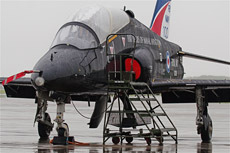 This is not the ideal weather for some decent photos unfortunately and therefore we made a hangar tour. The local weather forecast said conditions would improve during the morning. 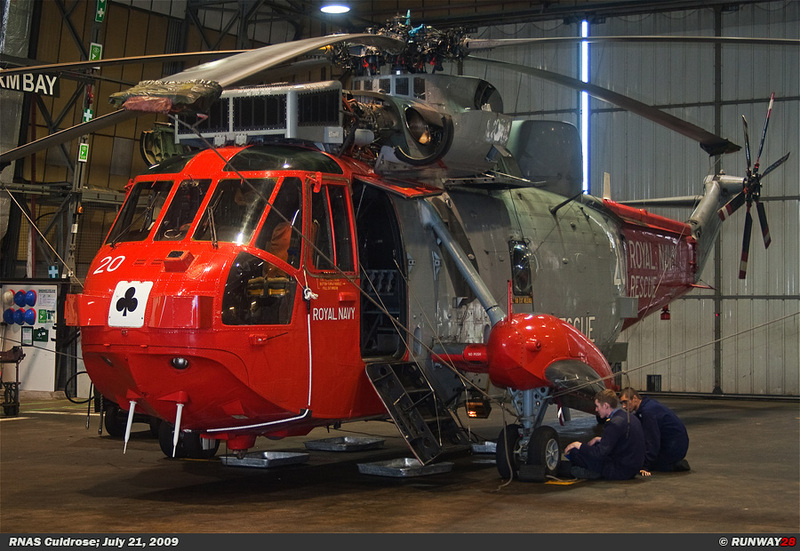 We started our tour in a messy hangar where we found an old Wessex; it stood between some parts of an old scrapped Sea King. 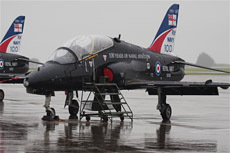 The first unit which we were going to visit was no 771 Squadron. 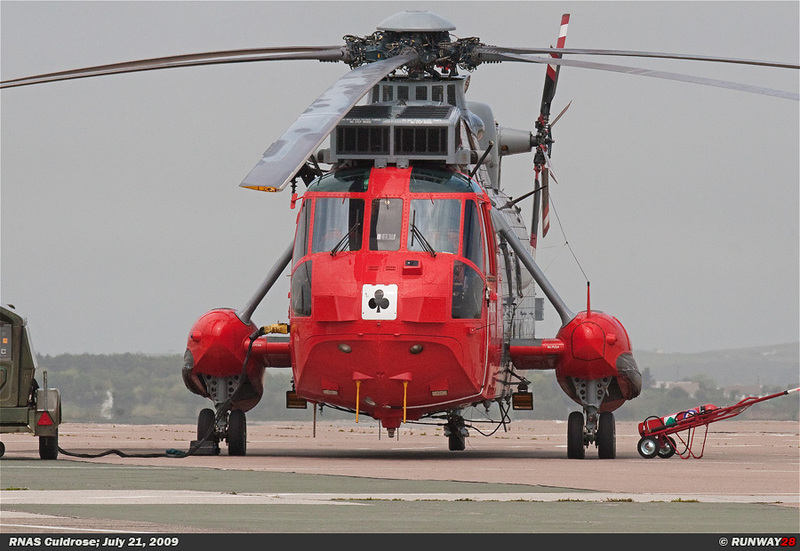 This is the Search and Rescue (SAR) unit at Culdrose which is operational with the Sea King. 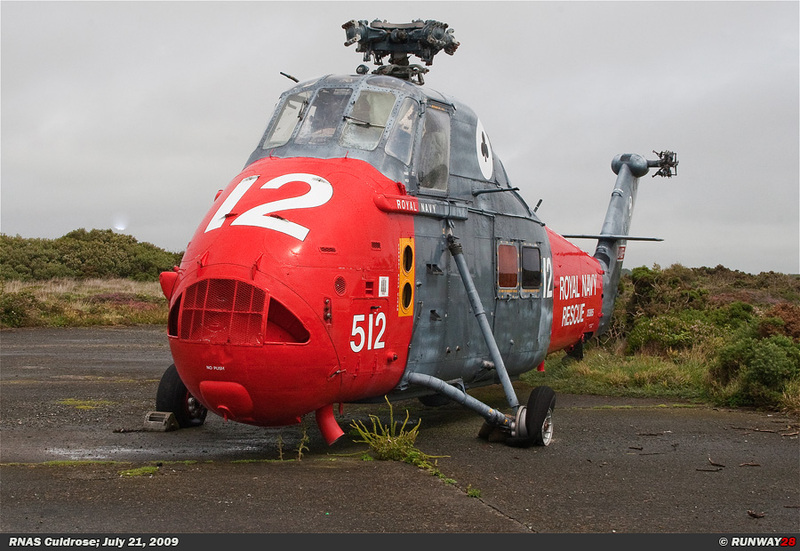 The helicopters of this unit are easy to identify by their red nose and the trefoil logo on the Sea King. 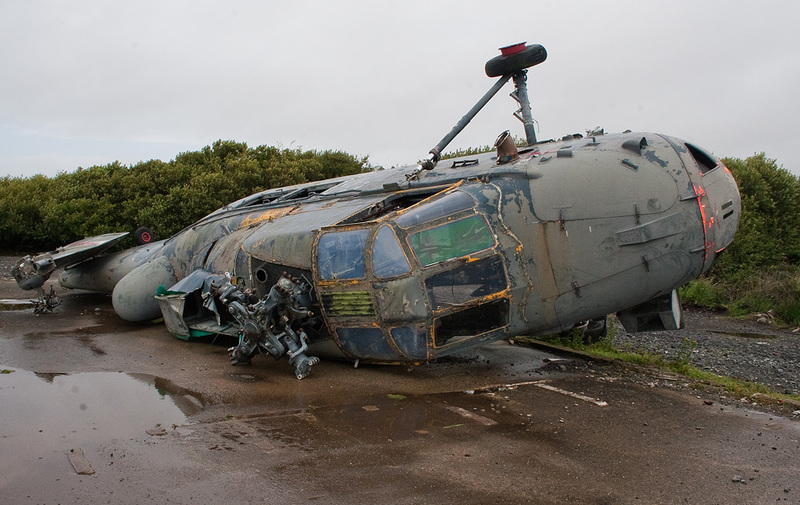 There was only one helicopter stand by at this moment and it stood outside on the platform. 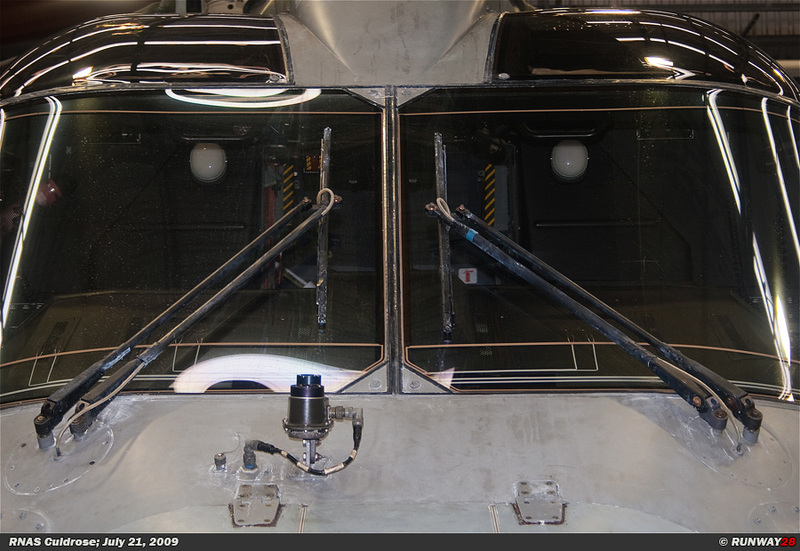 The rest of the Sea-Kings stood inside the hangar, but it was not easy to photograph these helicopters. 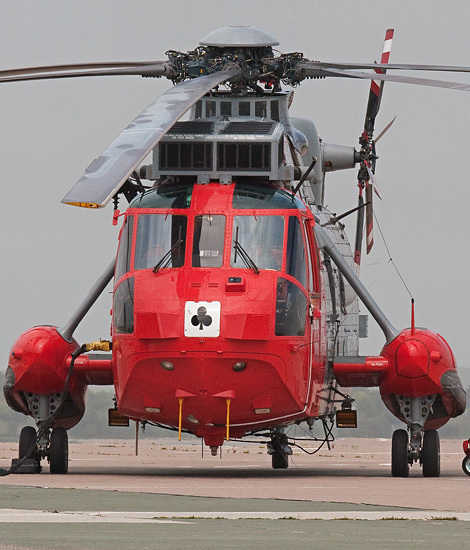 The Sea Kings were completely folded which is normal at the aircraft carrier of frigate to save the limited available space. 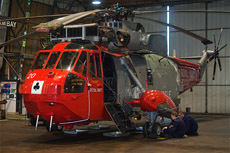 One of the Sea-Kings stood right in the opening of the hangar door. 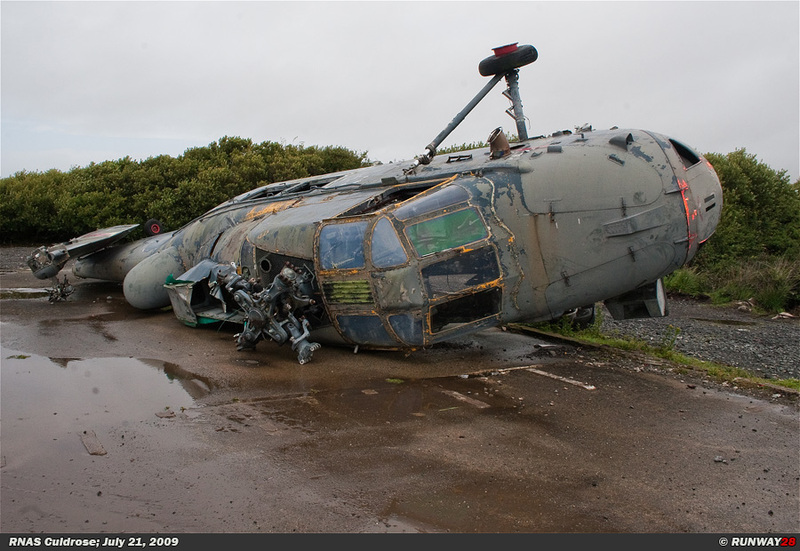 This helicopter was the second stand-by. 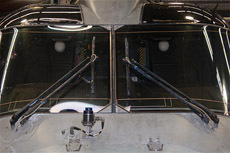 This helicopter can be scrambled when the first helicopter is gone already. 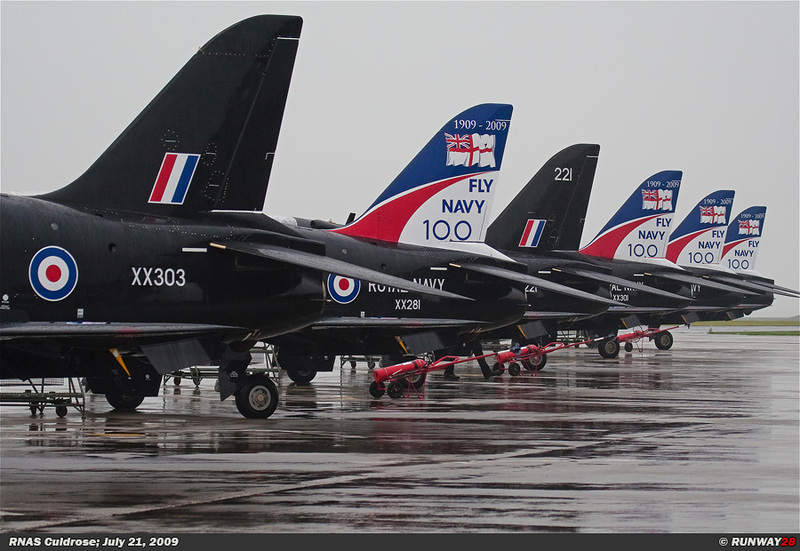 We left to the ramp of the FRADU to see their Hawks after the visit at the Sea-King hangar. 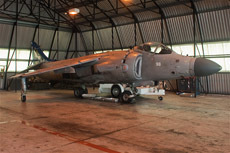 We were allowed to photograph all the Hawks at the platform and inside the hangar. 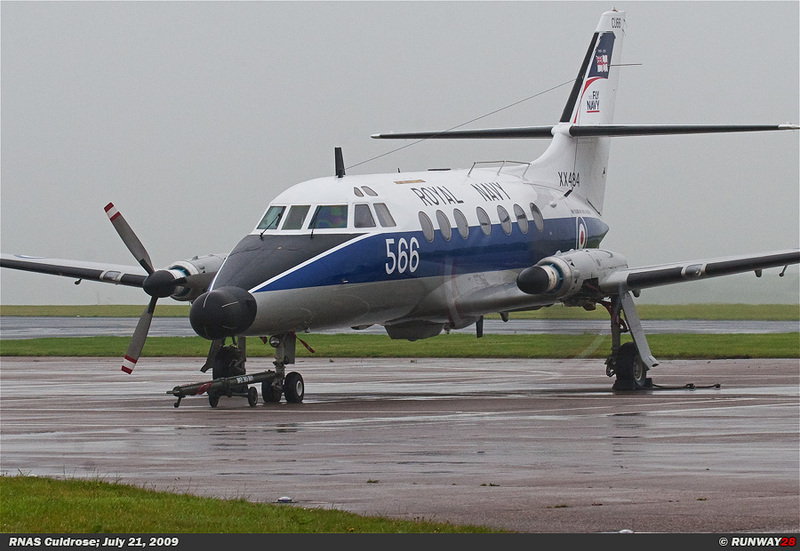 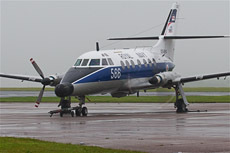 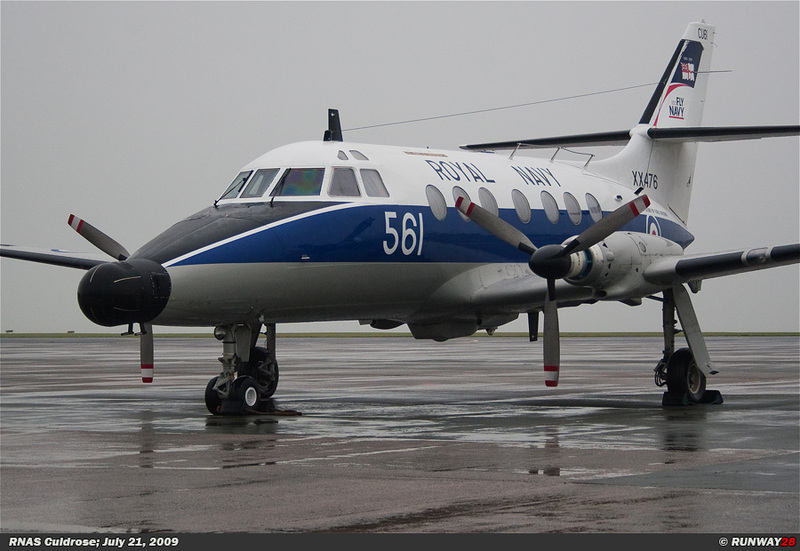 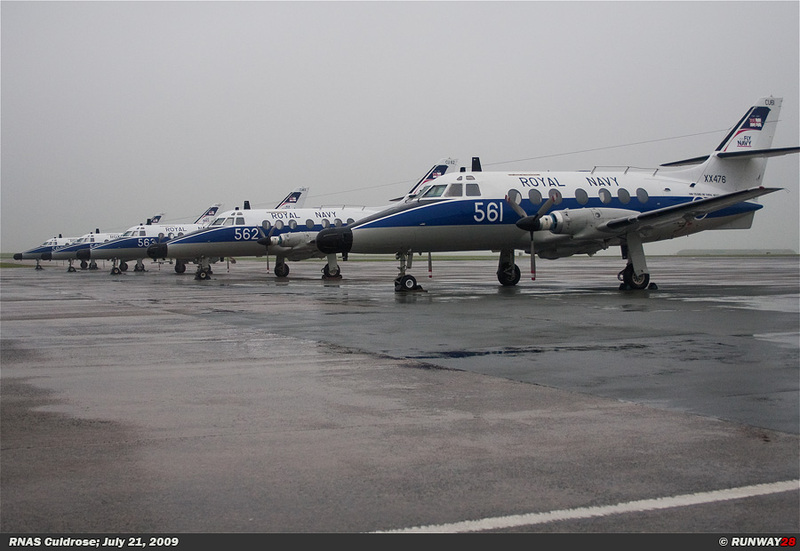 The next visit was at no 750 Squadron which is equipped with the Jetstream. 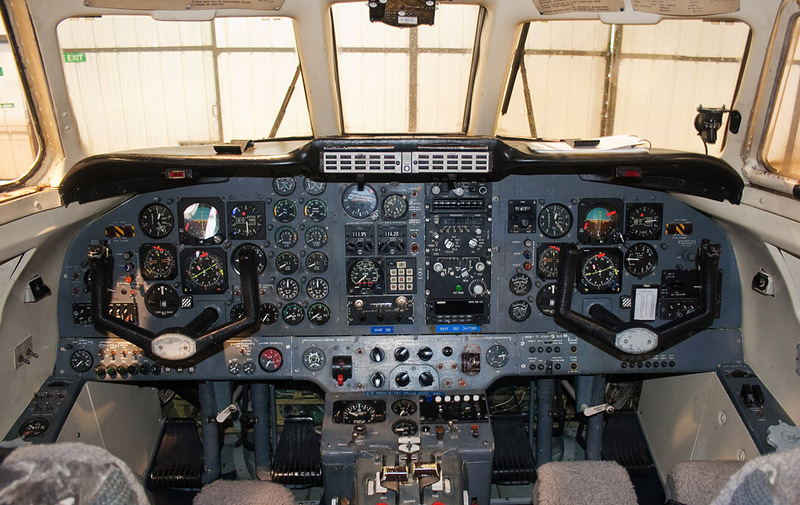 I took some nice pictures of all the Jetstreams on the platform and also inside the hangar; I was also allowed to take some photos of the cockpit. 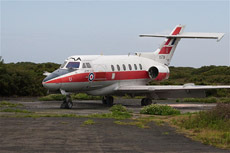 photographing the Jetstreams of no 750 Squadron. 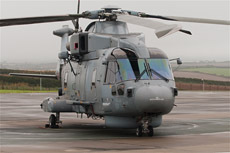 There are five Merlin squadrons based at RNAS Culdrose, namely; no 700 Squadron, no 814 Squadron, no 820 Squadron, no 824 Squadron and no 829 Squadron. 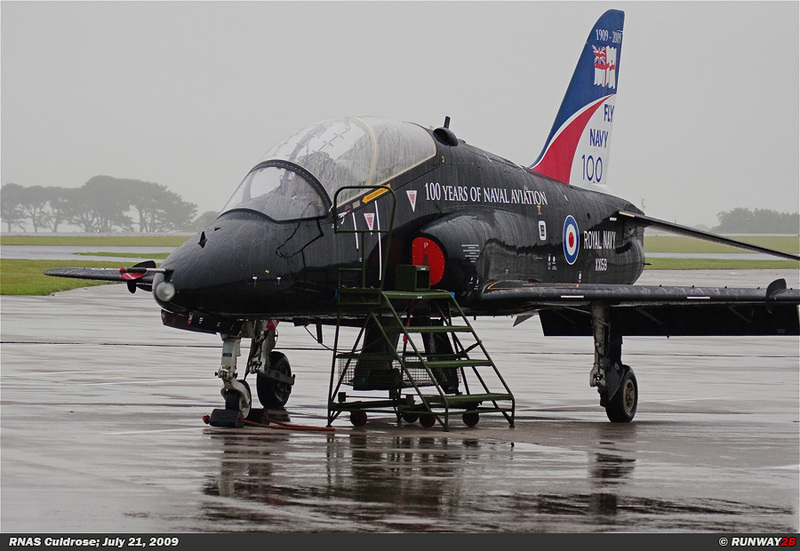 Culdrose is the only base in the United Kingdom where the naval variant of the Merlin is based. 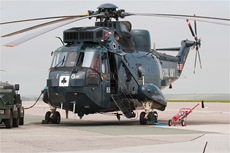 Also the major maintenance of all Merlins is done at Culdrose. 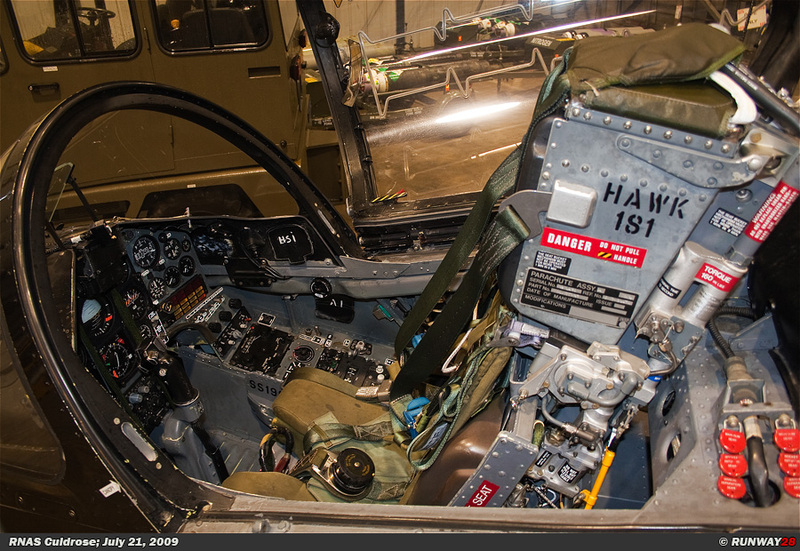 We could have a look in the maintenance hangars, but photography was not allowed because all the helicopters were open or in loose parts. 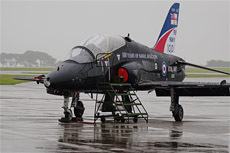 There were a few Merlins on the platform in front of the hangars of the Merlin units; we walked along each Merlin to take some photos. 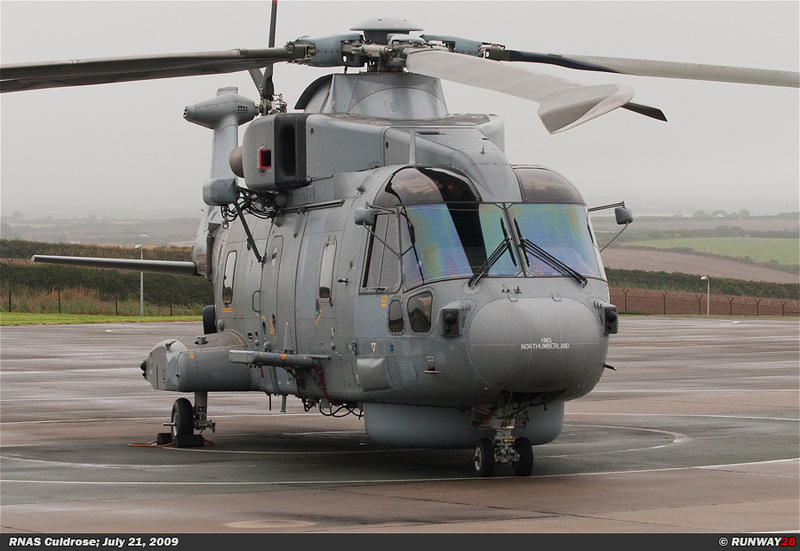 We were able to look around at the Sea King AEW units after visiting the many Merlin units. 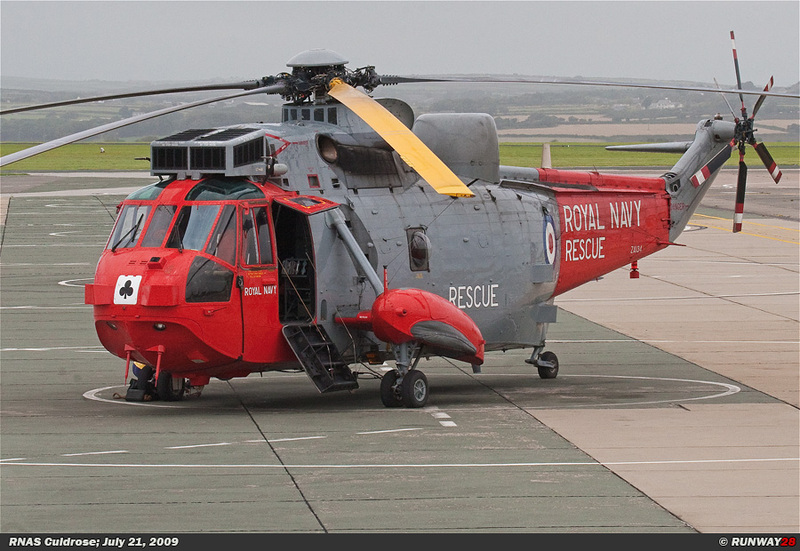 There are three Sea King AEW units at Culdrose, namely; no 849 Squadron, no 854 Squadron and no 857 Squadron. 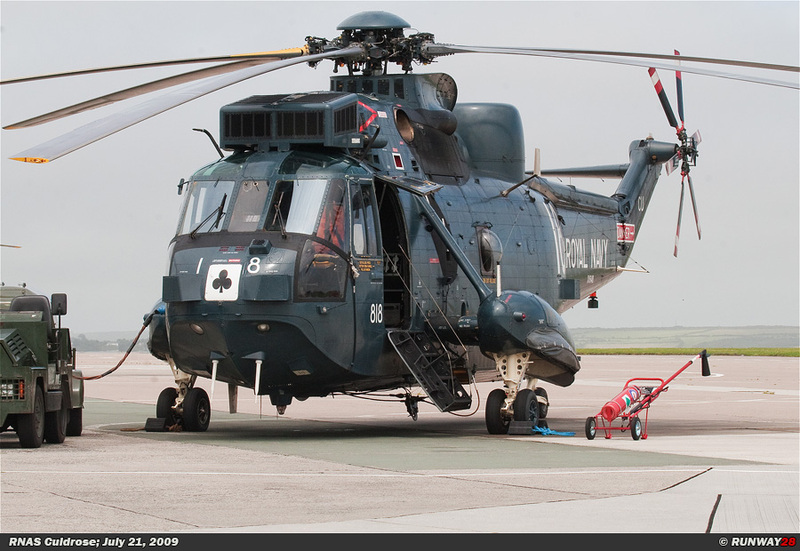 The Sea King AEW can be recognized by its large radar next to the fuselage of the helicopter. This Sea-King is the eye of the fleet and it operated on board of the British aircraft carriers. 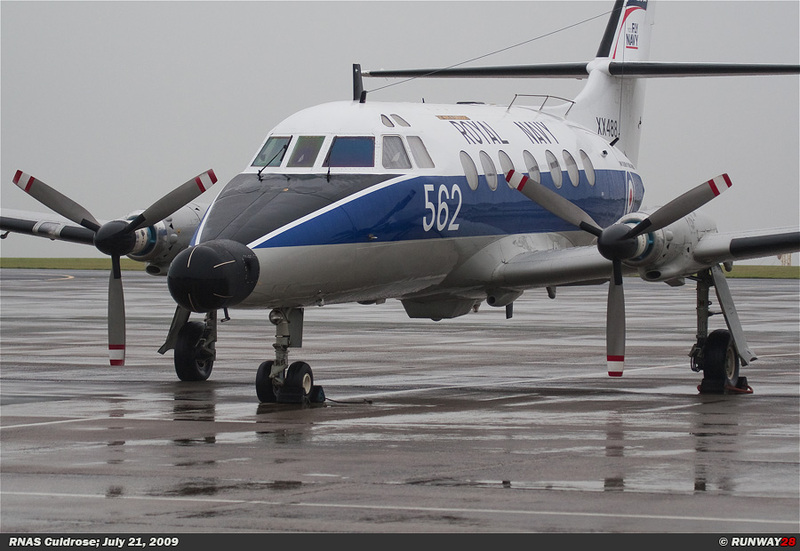 It has the same function as the E-2 Hawkeye of the U.S. Navy. 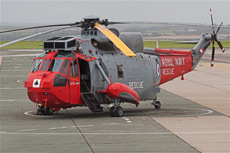 Furthermore the Sea King ETS can be found here which is meant to train the Sea King pilots. 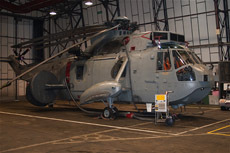 We took pictures of all the Sea-Kings inside the hangars and on the platform after a brief introduction by one of the pilots. 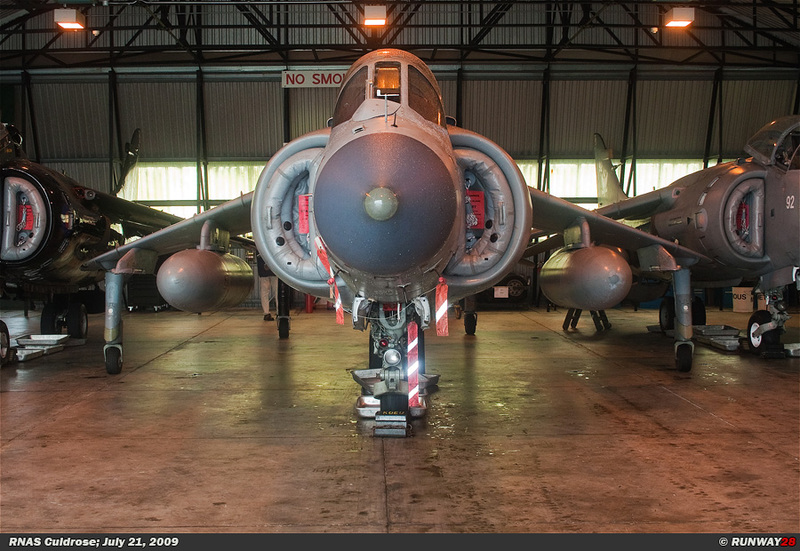 The last part of our visit to Culdrose was at the dummy deck. 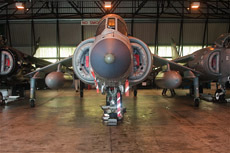 The Royal Naval School of Flight Deck Operations ensures that all people that handle aircraft aboard an aircraft carrier are trained. 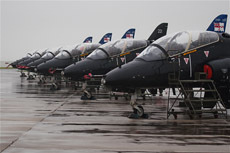 It is intended that all people of the Royal Navy and the RAF on board of an aircraft carrier are trained at this location. 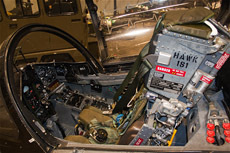 The dummy deck is nothing more than a fake flight deck with the same size as a real flight deck of one of the British aircraft carriers. 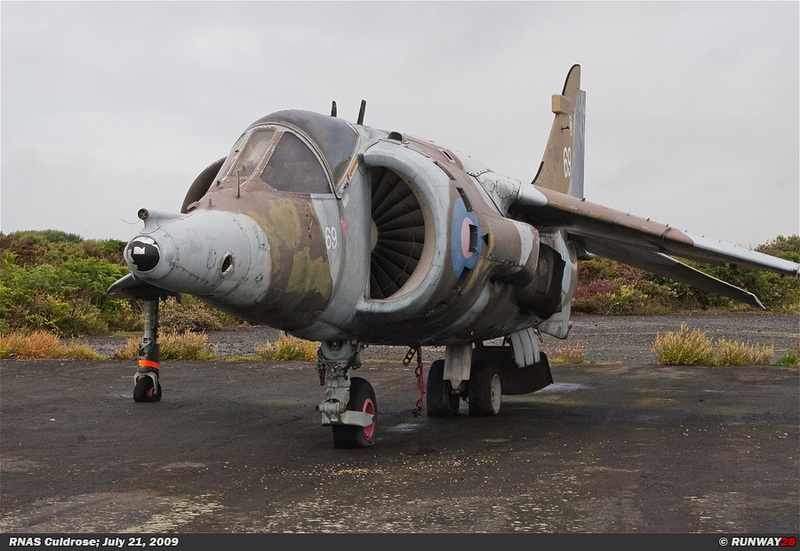 There are some Harriers and helicopters on this deck for a realistic training scenario. 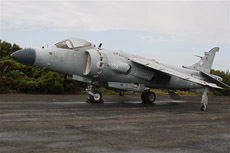 The Harriers will taxi over the deck and the trainees need to guide them over the deck in a safe way. 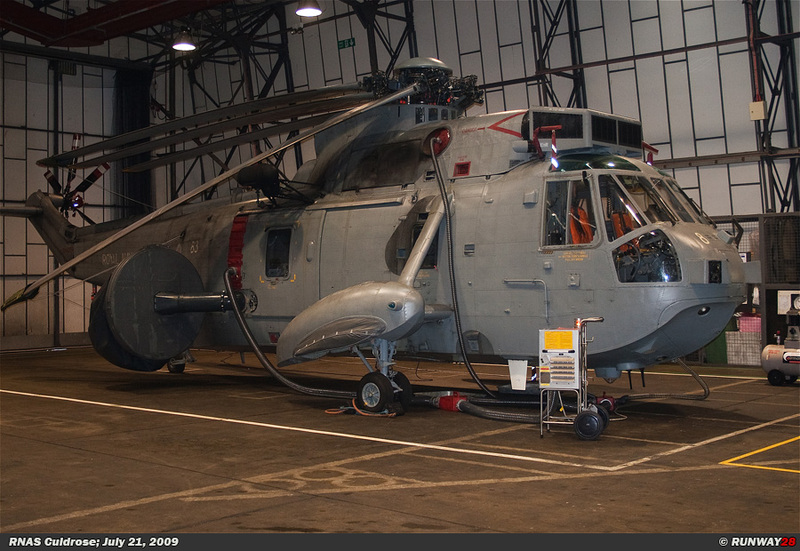 There were several Sea Harriers and a Sea King on this deck and there were also a few aircraft inside the hangar next to the dummy deck. 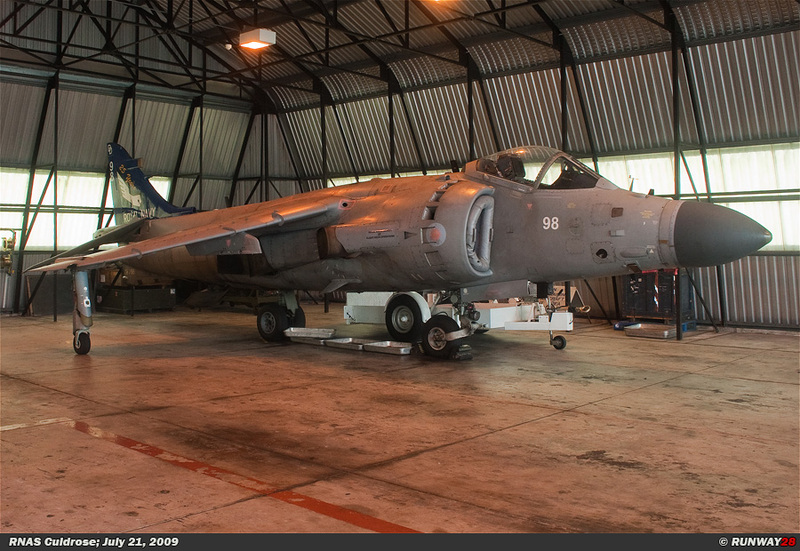 There was also a Merlin inside the hangar next to the Harriers. 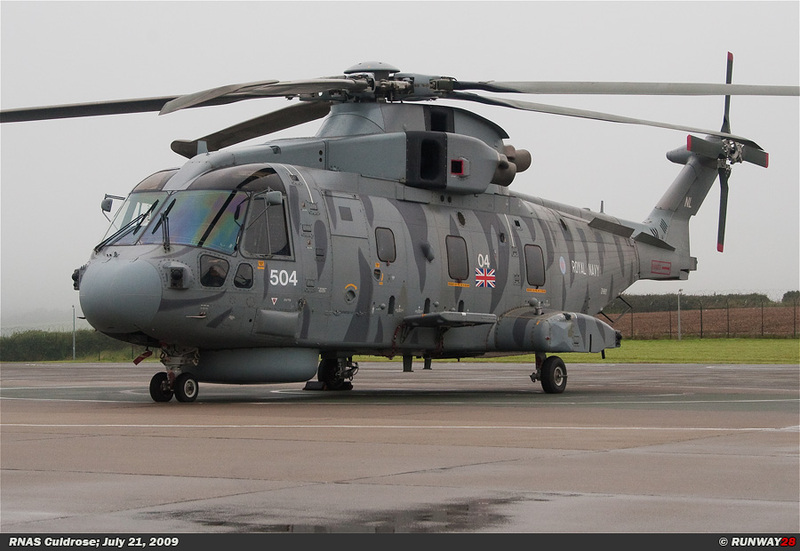 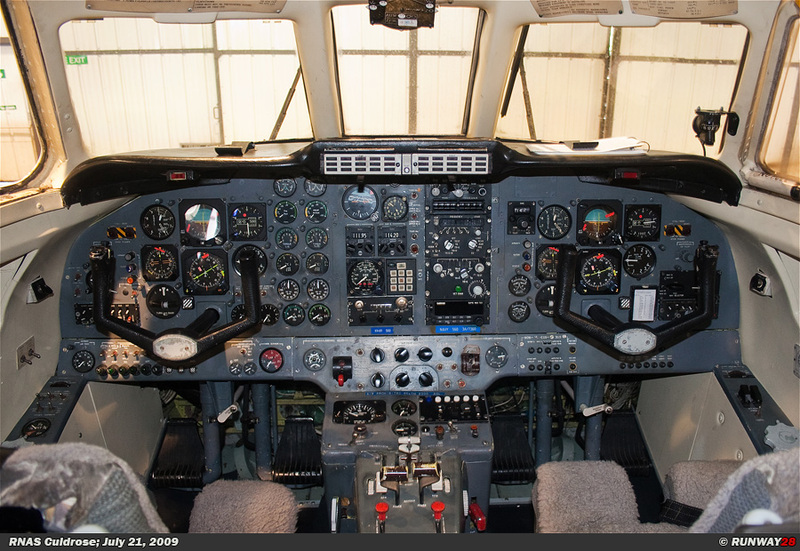 This Merlin was the prototype of this helicopter type and it is used as an instruction aircraft nowadays. 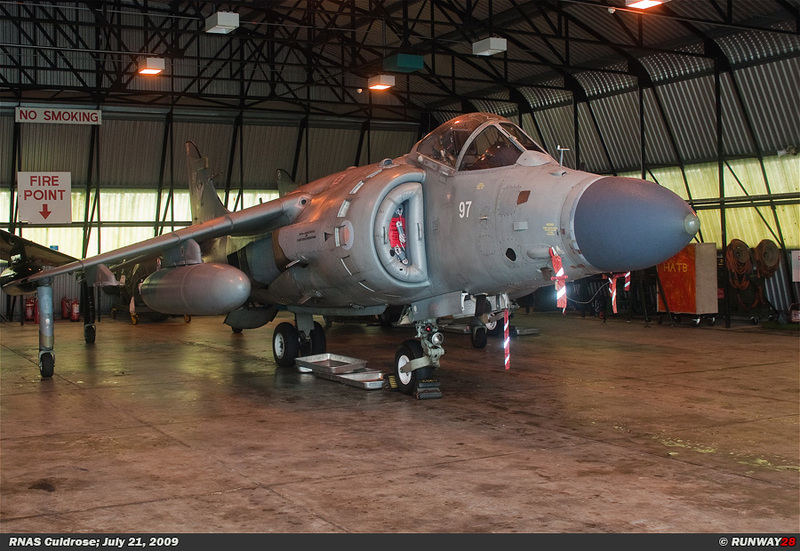 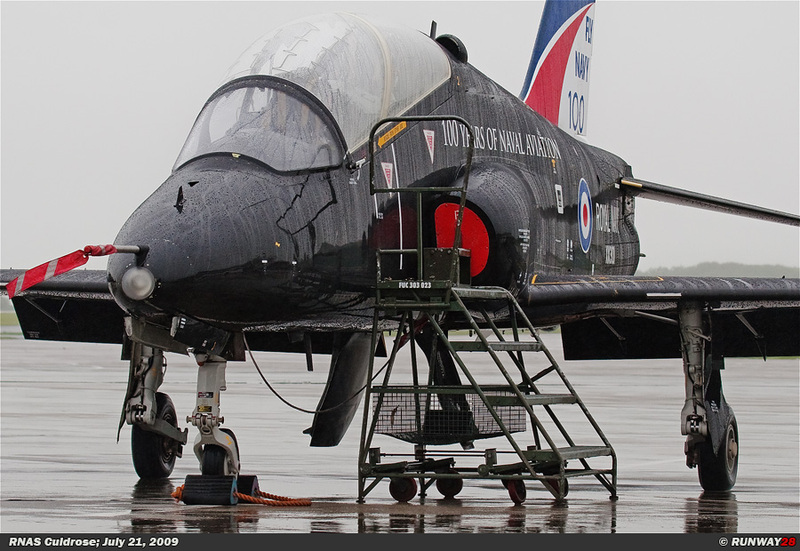 I took some nice pictures of the Sea Harriers on this dummy deck and inside the hangars. 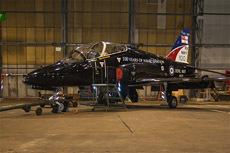 The dummy deck was the last part of our tour at RNAS Culdrose. 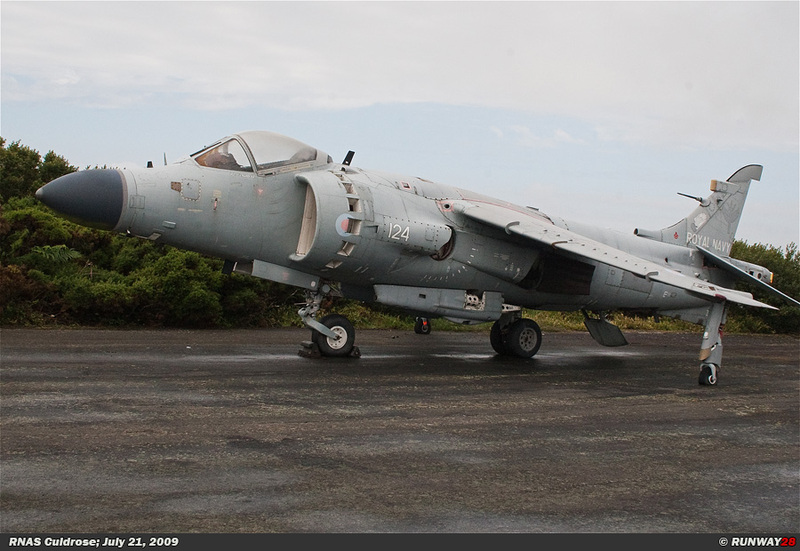 We drove by car to RNAS Predannack which is ten kilometers to the west from Culdrose. 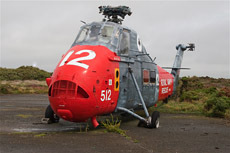 The firemen of the Royal Navy are trained in handling emergencies with aircraft and helicopters at this abandoned airfield. 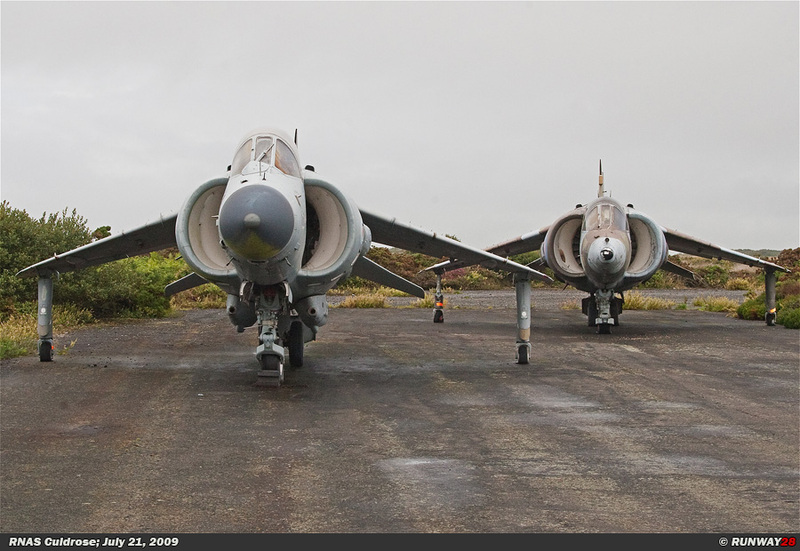 There aren't any active units at this base, but there are many old aircraft present which are used for fire exercises. 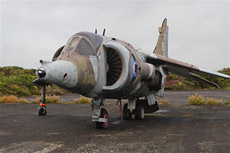 We were at this location to photograph all these old aircraft which were present at the dispersals of this old Second World War bomber base. 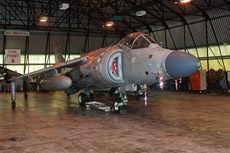 There were different types of aircraft including the Harrier GR3, the Wessex, the Canberra and the Domini. 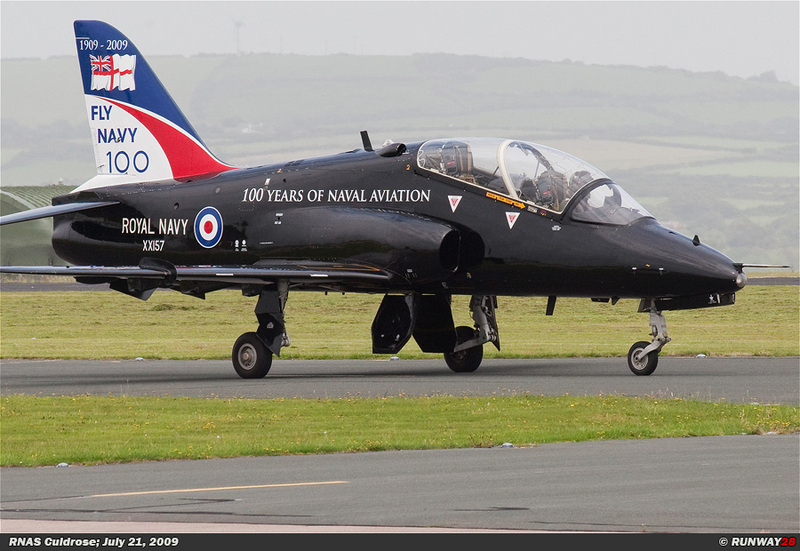 I left RNAS Culdrose at two pm and my UK tour for this year was over. 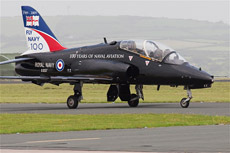 It took more than six hours to drive from Culdrose in the most southwestern part of the UK to the ferry in Dover. 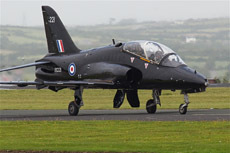 From there I would leave the UK by boat inbound France. 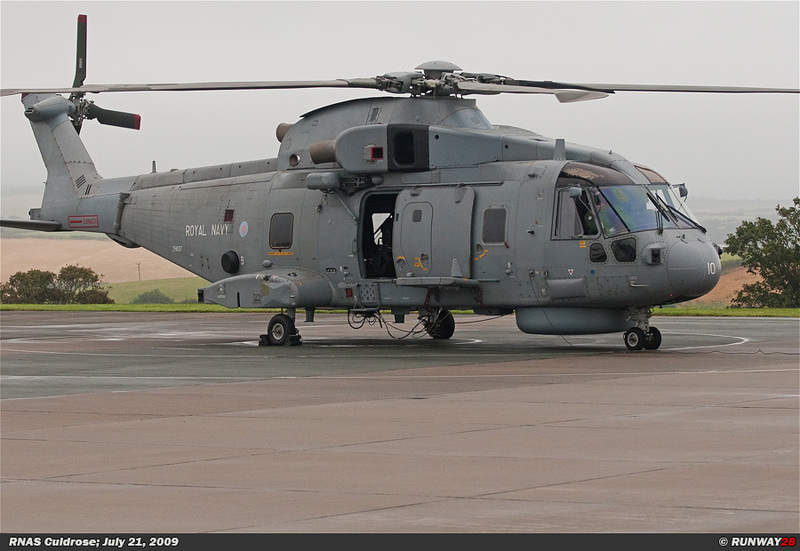 RNAS Culdrose is a huge naval airbase with lots of helicopters and planes of the Royal Navy and I had an excellent base visit; I really enjoyed the tour on this great base. 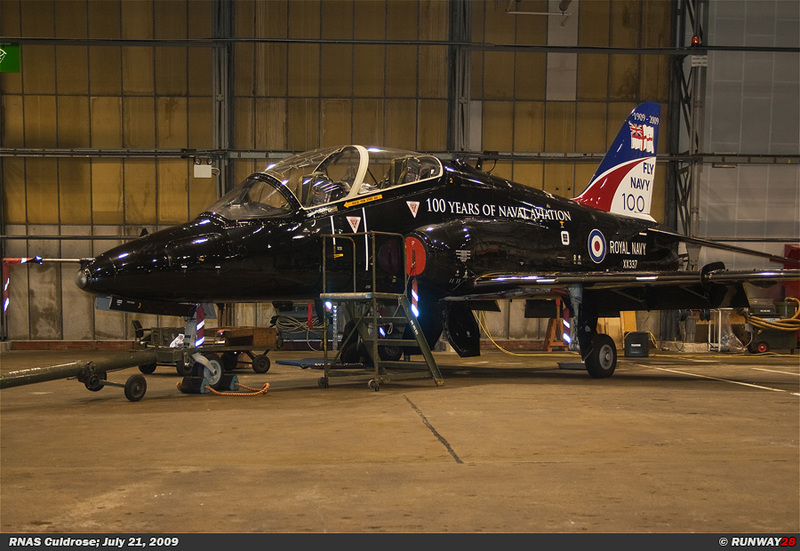 I do have a complete different view of the Royal Navy because of this visit which was my first visit ever to a Royal Navy airbase. 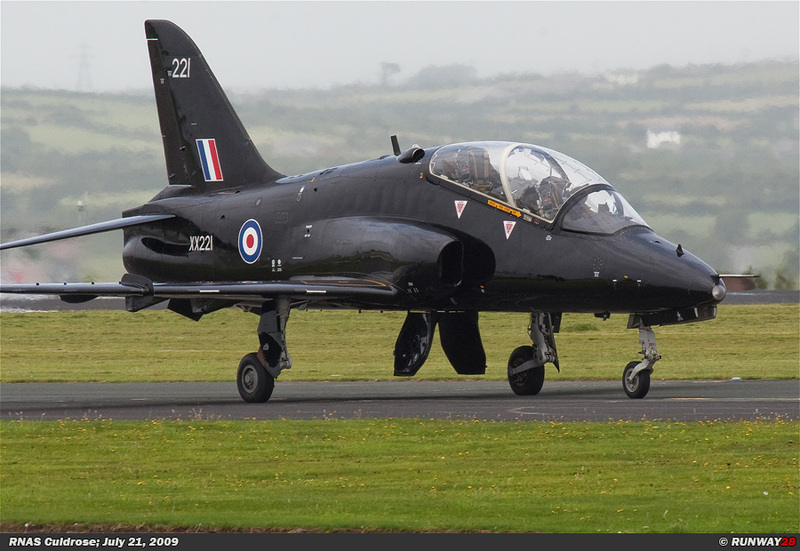 The major conclusion of my entire journey through the United Kingdom is that it was one of my most successful visits ever to this beautiful country. 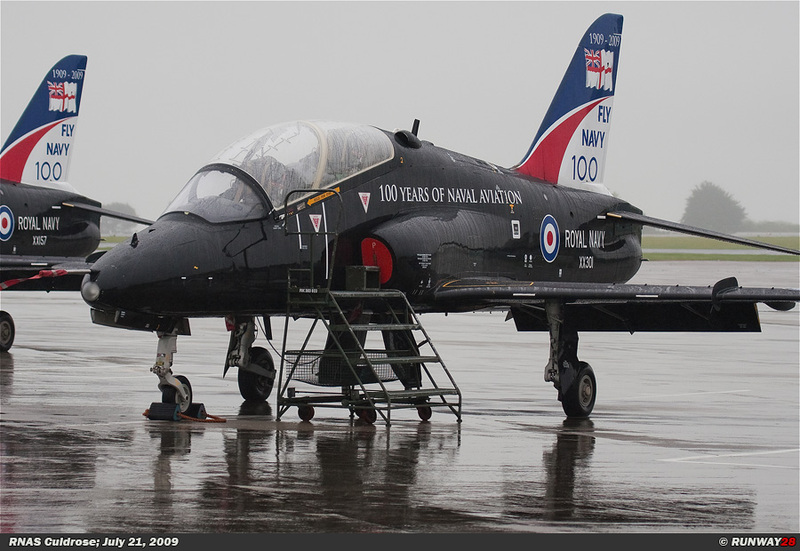 I managed to get some beautiful pictures of all kinds of aircraft of all the British armed forces. 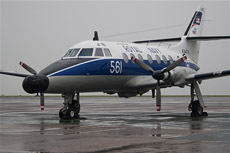 It is certainly not the last time I have visited this great country because I will come back in the future.